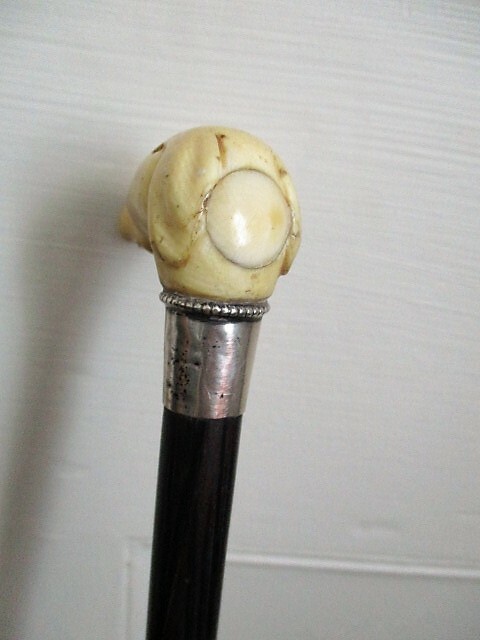 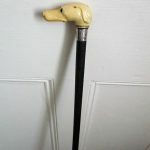 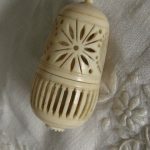 An ivory handled walking cane with white metal collar and palm wood (or tiger wood) shaft. 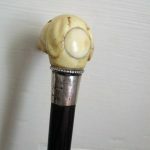 An ivory handled walking cane with white metal collar and palm wood (or tiger wood) shaft. 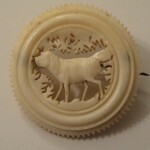 The collar tests for silver but is not marked. 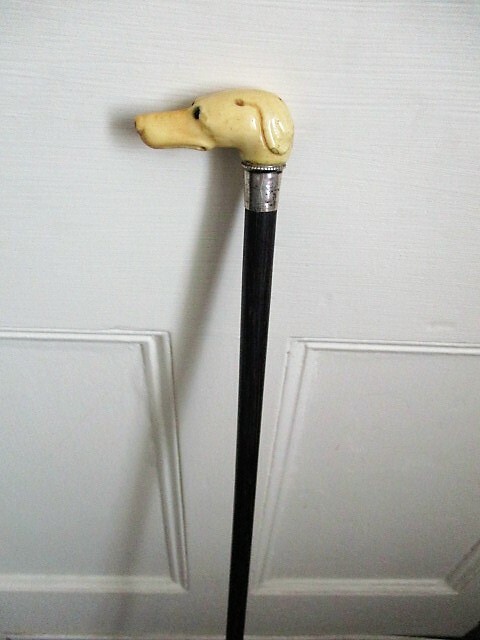 The tip is brass and steel. 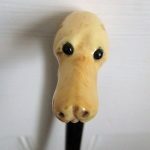 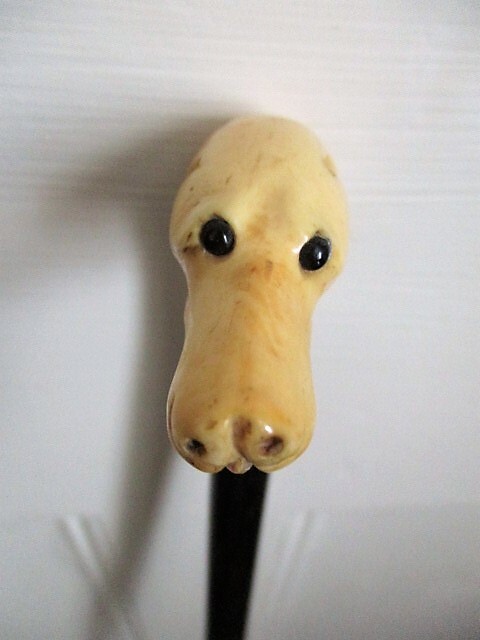 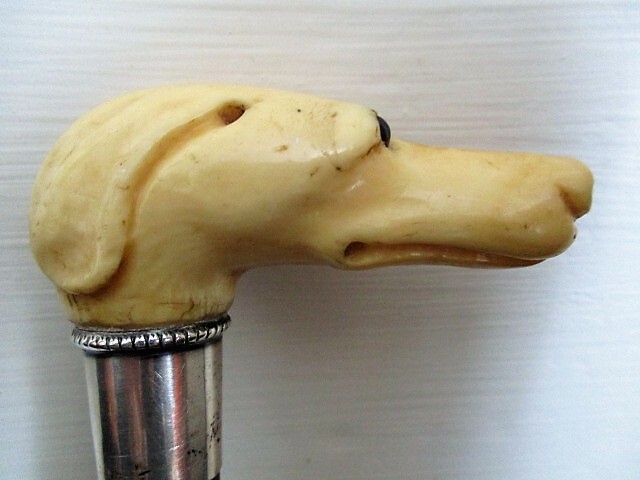 The carved dog head looks like a greyhound and has appealing glass eyes. 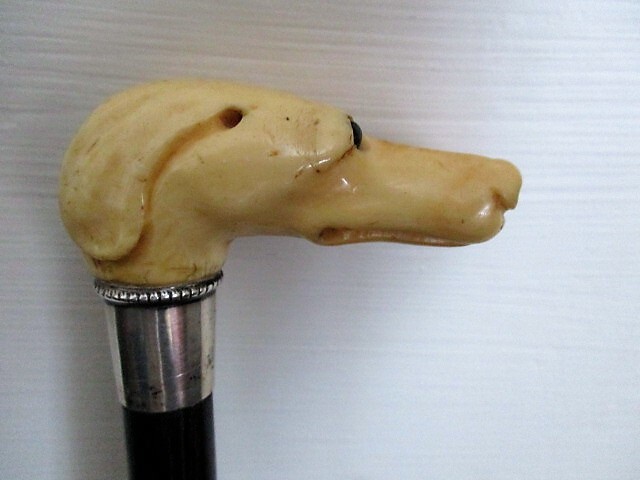 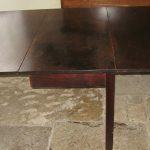 This elegant cane is 3 feet 11″ long, the handle is 2 1/2″ long. 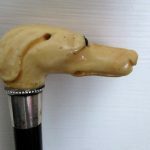 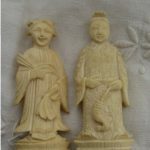 The palm wood cane is well figured and smooth.